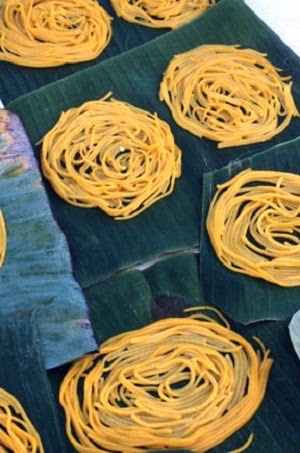 Have you ever heard about Corn Vermicelli (Bún Bắp)? You may know the vermicelli which is made by rice, however the vermicelli is made by corn is very weird even Vietnamese people might not know about it. This weird food is one of Best Vietnamese food from Phú Yên province. 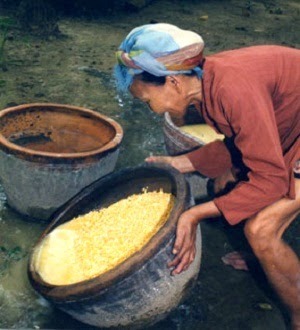 There is only An Dân (Tuy An) area has standard and quality corn to make vermicelli. In the last decade, there were many families doing this business. 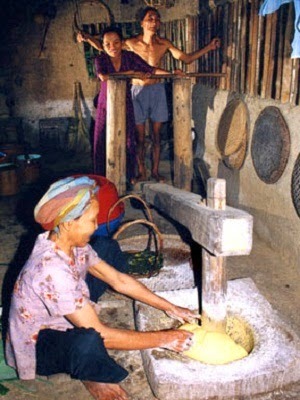 You might see most of families in An Dân plant and produce corn vermicelli. However, this business is going down due to the young people tend to leave it and move to other business. You do not worry about it; the remaining families guarantee that they will not ever quit this business until death. So your chance is still kept. In recent years, the local people usually make this Best Vietnamese Food on the middle and starting month and then bring it to Chí Thanh Market to sell. 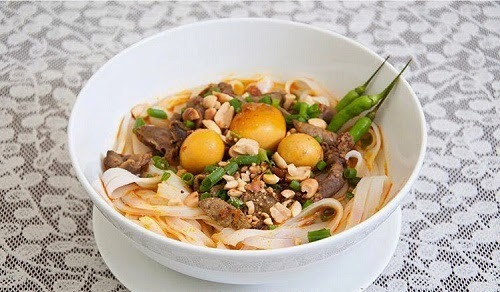 This best Vietnamese food requires a lesser ingredients and eating way than Huế Style Beef Noodles (Bún Bò Huế), but the quality is seemed to be equally. After three days of Luna New Year, people are bored with meat, square cake, pickled onion or high cholesterol food. Eating corn vermicelli with goby fish at Ô Loan swamp is really fantastic. Some people eat simply by using only fish sauce to eat with corn vermicelli. If you eat this vermicelli one time, you will never ever forget the taste and flavor of it. Some visitors come to An Dân just for eating this Best Vietnamese Food. They said that the taste of this food seem to remain forever in their mind, so they have to go there to eat it when have time. To sum up, if you love vermicelli, I think you should not miss this Best Vietnamese Food in Phú Yên Province when you have a chance to visit here. Living and eating is a best way we can enjoy this beautiful life together. Hope you will have a happy and excited trip in Vietnam.